Land and water managers are facing a complex array of regulatory and societal pressures to meet the challenge of securing greater food and water security without damaging our natural capital and the flow of ecosystem services. For Instance, the idea of Sustainable Intensification (SI) - a means of increasing food production without increasing (or ideally reducing) the environmental footprint of agriculture including diffuse pollution - has emerged as a powerful response to the challenges facing the agricultural industry and the science community. As a complex interaction of internal biogeochemical, ecological and hydrological processes are the fundamentals of catchment science, SI and diffuse pollution issues require representation of these interactions in models and tools if they are to be useful to the wide array of policy, industry and NGOs operating in this area. 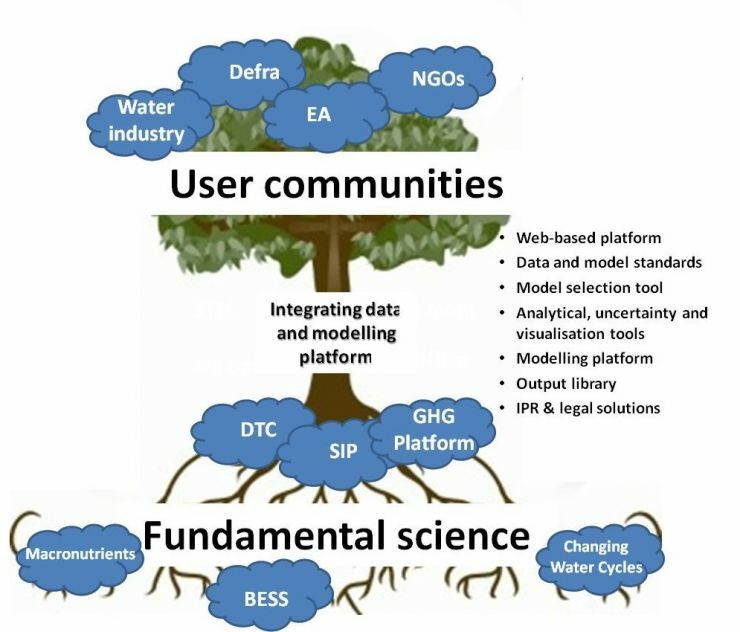 The challenge to the community is to develop new integrated data-model systems which are robust, useable and available to the breadth of the user community in the field, while also adequately reflect the mix of abiotic and biotic processes and outcomes which underpin key ecosystem services. There is an opportunity to exploit work ongoing in this field from fundamental biogeochemical and biodiversity research and to exploit the potential opportunities of web-based solutions to enable more integrated community involvement. The primary objective of CaMMP is to provide a forum and platform for the wider community to communicate and engage to create more sustainable, effective and efficient management of catchment resources at the UK scale.